This week it’s Sean Underwood who took part in the Atwell Martin Lettings Westonbirt Triathlon with us. “I was morbidly obese in Jan 2016 and weighed 23 stone. I couldn’t run a mile or even 100m for that matter! I was playing rugby and embarrassed myself on the pitch being so unfit in front of my 9 year old son, so on that day (Jan 4th 2016) I joined a slimming world group. I lost 1 stone in my first week. I lost 2.5 stone by February 2016 and started running….1 mile at a time…..over the months I built it up and continued to lose weight. 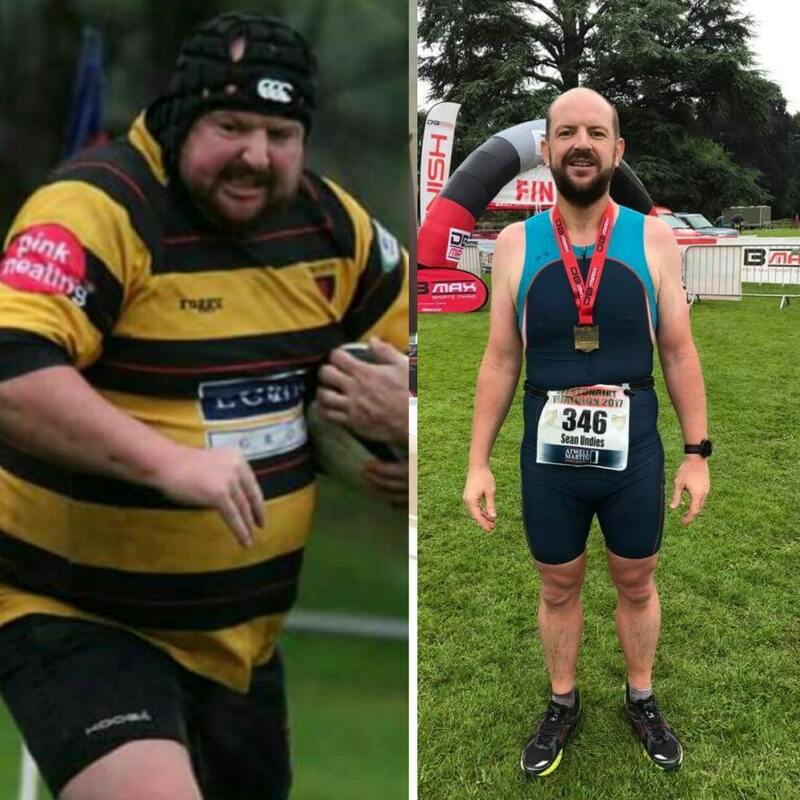 7 stone lost in 7 months and I managed to build my running up to a 10K race….then a half marathon. I now run regularly with a club and I’ve completed 3 half marathon with more booked. Also I’ve taken on loads of 10ks on and off road and cycled the Malvern Madhatter 75 miler. This year my big events are Ride London and London Triathlon Olympic distance so Westonbirt was my first ever tri.